(CNS): Updated Wednesday 1:30pm — Following reports on CNS on Tuesday morning that a unit of Johnson & Johnson had voluntarily begun a recall of certain children’s over-the-counter liquid medicines because of manufacturing deficiencies, Cayman Islands’ health officials released a statement on Wednesday afternoon informing the local community of the move. Medical Officer of Health, Dr Kiran Kumar said 43 child and infant over-the-counter liquid formulations of Tylenol, Motrin, Zyrtec, and Benadryl had been recalled by McNeil but that none of these medications are available at the Health Service Authority pharmacies. He said an advisory has been sent to all private pharmacies to remove all stocks of these products from their shelves. Dr Kumar said people who had any of the medications involved should stop using them immediately and if children who have taken the recalled products have unusual symptoms, parents are urged to contact a health care professional. “Parents should not give children adult formulation of the medications,” Dr Kumar added. Sating that alternative brands of the products, including generic medications, are available. Parents who have questions about alternative treatments should consult their physician. The voluntary recall follows an April 19 inspection by the United States Food and Drug Administration of a McNeil plant in Fort Washington, Pa. that uncovered "manufacturing deficiencies". "Some of the products included in the recall may contain a higher concentration of active ingredient than is specified; others may contain inactive ingredients that may not meet internal testing requirements; and others may contain tiny particles," a company release stated. McNeil Consumer Healthcare said it was initiating this voluntary recall because some of these products may not meet required quality standards. This recall is not being undertaken on the basis of adverse medical events. However, as a precautionary measure, parents and caregivers should not administer these products to their children. Foster’s said until it had further correspondence from the manufacture on the affected products they will not be available at their stores and apolgised for any inconvenience. “However the safety of our customers is our top priority,” the store stated. “We encourage all customers who have purchased these products to return the affected product to their Foster’s Food Fair IGA of purchase for a full refund. (CNS): There were no overseas trips for a Cayman delegation when the premier signed the country’s latest Tax Information Exchange Agreement (TIEA) as this one was done by courier. 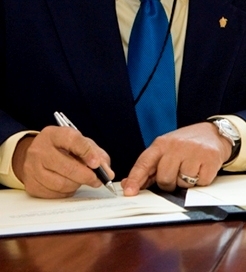 The Cayman Islands 16th tax deal was with Aruba and the agreement, exchanged via courier, was considered legally binding following the signature on 20 April of McKeeva Bush in his capacity as Minister of Finance and on 9 April by Mike E. de Meza, Aruba’s Minister of Finance, Communication, Utilities and Energy. Commenting on this latest TIEA signing, Premier Bush said the agreement signified a new development in the relationship between the Cayman Islands and The Kingdom of the Netherlands. “The Cayman Islands Government is confident that these agreements will eventually contribute to increased future economic activity between all countries involved,” he said. The Cayman Islands signed TIEAs with The Netherlands on 8 July 2009 and with The Netherlands Antilles on 29 October 2009. The Cayman Islands is on the Organisation for Economic Cooperation and Development (OECD) ‘white list’ of jurisdictions that substantially implement international tax standards and has 16 bilateral arrangements with the following countries for the provision of tax information: Aruba, Australia, Denmark, Faroe Islands, Finland, France, Greenland, Iceland, Ireland, the Netherlands, Netherlands Antilles, New Zealand, Norway, Sweden, the United States and the United Kingdom. 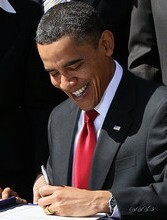 Copies of the agreements can be found via the following link: www.tia.gov.ky/html/arrangements.htm. (CNS): US citizens living and working in Cayman will need to familiarize themselves with new legislation that affects their tax obligations Cayman Finance has said. The Hiring Incentives to Restore Employment Act of 2010 (HIRE act) passed in March 2010 has new reporting obligations on US taxpayers in connection with non-US accounts and investments. This new legislation will affect US passport holders in Cayman and provides the IRS with tools to find and prosecute US individuals hiding assets overseas. The new rules also limit the ability of non-US investors to access US markets Cayman Finance warned on the eve of its summit where the issue will be discussed. Steven Cantor will be the guest speaker on Thursday 6 May at the Cayman Finance Summit taking place at the Ritz Carlton. Cantor will explain this latest legislation which will affect US passport holders in Cayman. In addition to its impacts on almost every investor, whether an individual, a trust or a family office, and every financial institution — private bank, fund and collective investment structure worldwide – the HIRE Act provides the IRS with “new tools to find and prosecute US individuals that hide assets overseas”. New 30% withholding obligations will be imposed upon non-US financial institutions and investment structures as well as the individuals who invest through them on US investments unless they agree to undertake due diligence and turn over account information about all of their US citizens, green card holders and US tax resident clients. These rules will apply to all of those people in Cayman who have US citizenship. The new rules also limit the ability of non-US investors to access the US markets via derivatives, loan notes and other synthetic arrangements and will impact those US taxpayers who have homes, artwork, planes, yachts and other personal use property held in non-US trust structures. To get the full brief of this new law and how it will affect US citizens in Cayman including those with dual citizenship, attend the Cayman Finance Summit on 6 May 2010. To register for the Summit log on to www.caymanfinancesummit.ky or call 623 6700. (CNS): Police have refused to confirm the arrest of a Bodden Town MLA this weekend following an assault at a condo complex on Seven Mile Beach. However, the UDP has confirmed that Dwayne Seymour was arrested and jailed at George Town Police Station Saturday evening. 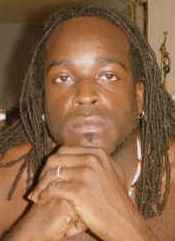 Police said that at around 10.00 pm on 1 May they received a report of an assault at the Cayman Beach Reef Resort on West Bay Road. As a result of the incident two men sustained injuries and attended the Cayman Islands Hospital in George Town. They were both released following treatment but police arrested three men in connection with the incident. This afternoon one of the men was released from custody and two were released on police bail. Speaking to News 27, UDP party secretary Ellio Solomon confirmed that Dwayne Seymour was one of three men arrested this weekend but said he did not know the details of the arrest and Seymour had not been charged with any crime. Police confirmed that, at this stage, no one has been charged in connection to the incident at the condo resort but that enquiries are ongoing. They did not say if Seymour was one of the men that had been released on bail. Other sources have told CNS that the assault is directly connected to a family dispute involving Seymour’s estranged wife and new partner. (Reuters): A former private banker at Julius Baer who alleges the Swiss bank knowingly helped rich clients dodge taxes, said on Monday that US clients have long paid a premium for Swiss firms’ tax advantages. Rudolf Elmer, who told his story in public for the first time, was fired from Julius Baer in 2002. He says he has divulged internal company documents with officials in several countries, including the United States and Germany. 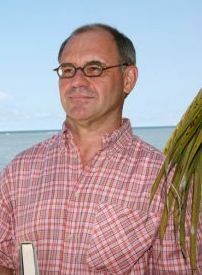 As a former chief operating officer for Julius Baer in the Cayman Islands, Elmer says he has files that show the bank helped clients skirt taxes. I’m scared. I have the right ofway and I’m driving below the speed limit. By all universal laws of traffic, justice, and morality here on God’s green Earth, I should be able to drive by the stationary vehicle up ahead without incident. But I know better, for this is not a normal Cayman Islands driver. He is one of “them”, a Road Warrior beholding to no traffic codes or shred of common courtesy. Far better suited for touring an apocalyptic future and jousting with Mad Max, he is instead miscast on West Bay Road in the civilized present. Opposed to automobile anarchy, I cringe in fear and disgust. I also tighten my abs, squeeze the steering wheel, and brace for possible impact. Here we go, another routine encounter with a Grand Cayman minibus driver. The driver, probably a Sith Lord or something similar, is cloaked in darkness thanks to illegal tint on his windows. But I know he’s in there somewhere, not paying attention to me. Perhaps he is talking on a cell phone, or maybe bickering with a customer in the rear seat. No, come to think of it, it’s more likely that he is looking right at me in one of his mirrors but will pull out in front of me, nonetheless. He will expect me to slam on the brakes to avoid an accident. How can I know all this about a driver I have never met and can’t even see? I am confident that he can’t or won’t drive properly for the simple reason that he is a minibus driver on a Grand Cayman road. That’s all one needs to know. My vehicle profiling instincts turn out to be right on target—as usual. The minibus pulls out in front of me with no warning. Fortunately, I was already at red-alert status and able to brake in time. Had I made the mistake of assuming that a normal human being with a conscience and basic driving skills was behind the wheel, I might well have ended up in a wreck. So who are these people? What is wrong with the majority of minibus drivers on Grand Cayman? Weren’t teenage boys supposed to be the stupidest, most obnoxious, and most dangerous drivers on our roads? Maybe not. It’s arguable, but they may have lost that dishonourable distinction, thanks to the daily efforts of our island’s minibus maniacs. Yes, against all odds, Cayman’s mass transit professionals seem to be more of a consistent annoyance and threat to safety than even the worst of our emotionally undeveloped and testosterone-overdosed young men with delusions of invulnerability. So many of Grand Cayman’s minibus drivers are so bad that this issue would appear to run deeper than mere incompetence and ignorance. Their behaviour on the roads seems far too radical and consistently terrible to be explained away as nothing more than carelessness and rudeness. How can they maintain such a low level of driving competency? It can’t be easy to be this bad day after day. Anyone can be a poor driver, but to operate a vehicle in the unholy manner most of our minibus drivers manage would seem to require something extraordinary. Who knows! Maybe there is a secret training facility in East End somewhere. Perhaps they put in long hours of practice in order to perfect their impressive repertoire of chaotic manoeuvres. That would explain it. To be fair, not every one of Cayman’s minibus drivers should be jailed for attempted murder at the end of every shift. There could be as many as two or three of them who are good drivers. To those rare specimens, let it be known that Cayman applauds your willingness to swim against the current and drive as if you can see, hear and think. You are bold misfits and rebels within your profession. It must take great courage for you to defy convention by obeying traffic signs and driving in a manner that avoids rather than invites accidents. It is unfair that you may sometimes suffer from guilt by association, but this is the sad reality of your chosen career. You are the few noble heroes, a tiny minority lost among a horde of barbarians. Perhaps we shouldstudy you in order to determine how you turned out so differently from the majority of your colleagues. In all seriousness, can someone in a position of authority please ask/demand that all minibus drivers begin driving as if human life is worth more than a $5 fare? If you think this is no big deal, then please try to put yourself in the shoes of the hard-working people who have no choice but to rely on these Caribbean Knievels for daily transport. Imagine if it was your mother riding inside one of those metal demons barrelling down the road with no concern for the laws of society or physics. What if your child was walking home from school and a minibus suddenly rounded the bend? Nothing to be concerned about? Imagine if every car driver in Cayman decided to adopt the driving style of minibus drivers. Would you care then? (CNS): Despite a number of successes for the RCIPS in detecting crimes associated with the recent gang violence, detectives working on the murder of Damion Ming have yet to charge his killer or killers. Ming was killed on 25 March, and although two men were arrested soon after, the crime they have since been released without charge. Police say they are now intensifying efforts to get new information and spent two hours last Thursday night carrying out a road check near the murder scene on Birch Tree Hill Road. Almost 100 vehicles, cyclists and pedestrians were stopped and asked if they had any information. According to reports by News 27, Detective Chief Inspector Malcolm Kay said this was the second police public enquiry since the shooting and the public’s help in this investigation was essential. He said those who were stopped were co-operative, and the team is now examining the information it received. Anyone who hasn’t spoken to police can come forward in confidence, either directly to the West Bay Police Station, or using the anonymous tips line on 800 TIPS. Ming was killed on the eve of what should have been his return to jail after his bail had been revoked following the failure of his Privy Council appeal on a drug conviction.